Our family serving your family since 1954. Providing Quality and Value that Exceeds Expectations. At the Clyde W. Kraft Funeral Home, we understand that grief and loss can affect a person in vast and unpredictable ways. Planning a funeral can seem like a daunting task during such an undoubtedly emotional and trying time. Our funeral planning process begins with one of our licensed funeral directors sitting down with you to hear the thoughts and stories you have to share about your loved one. They will ask questions that aim to give us a better understanding of your loved one so that we can offer suggestions that guide your family towards services aligned with your needs and desires. We strive to produce a deeply meaningful tribute that not only honors your loved one's life, but will provide comfort and initiate the healing process for those left behind. We are available 24/7 in the event of an immediate need. Call us at 717-684-2370. Supervisor: Kevin M. Kraft, Sr. Since 1954, Clyde W. Kraft Funeral Homes, Inc. has been helping families honor the memory of their loved ones with compassionate services. 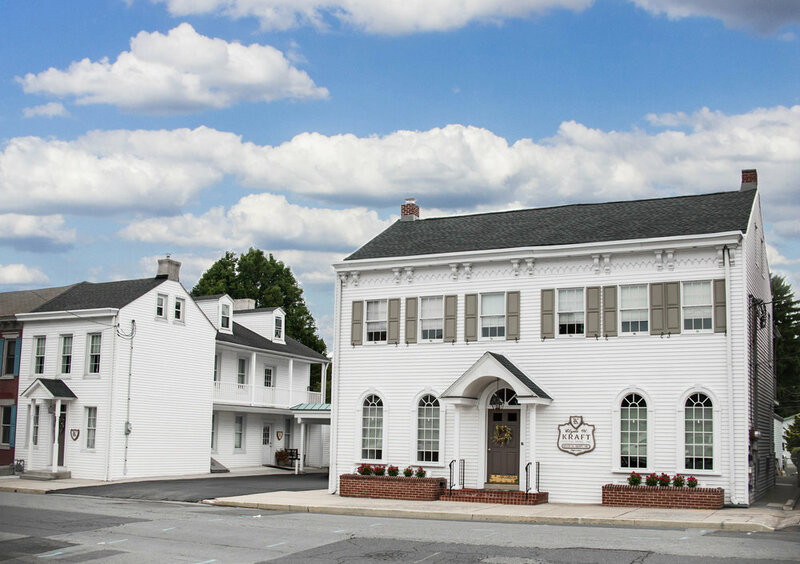 Now in our third generation, our family-owned funeral homes serve Lancaster and York, PA and offer full-service funeral planning, from traditional services to cremation. We also offer a number of special services to help you navigate the more unexpected aspects faced upon the passing of a loved one. We would love to hear how we can help you and your loved ones. It is important to be realistic in respect to the funeral expenditures when planning services. We do not want a family to spend more than they are able, nor less than they would like. What is important is that arrangements be in keeping with a family’s wishes and budget. You will find our staff to be courteous and sympathetic and our services handled with dignity and respect during this most difficult time. The staff will handle every possible detail to accommodate your family and to provide a memorable service for your loved one.